Examines the state's safety net financing and infrastructure resources, with county and regional comparisons. 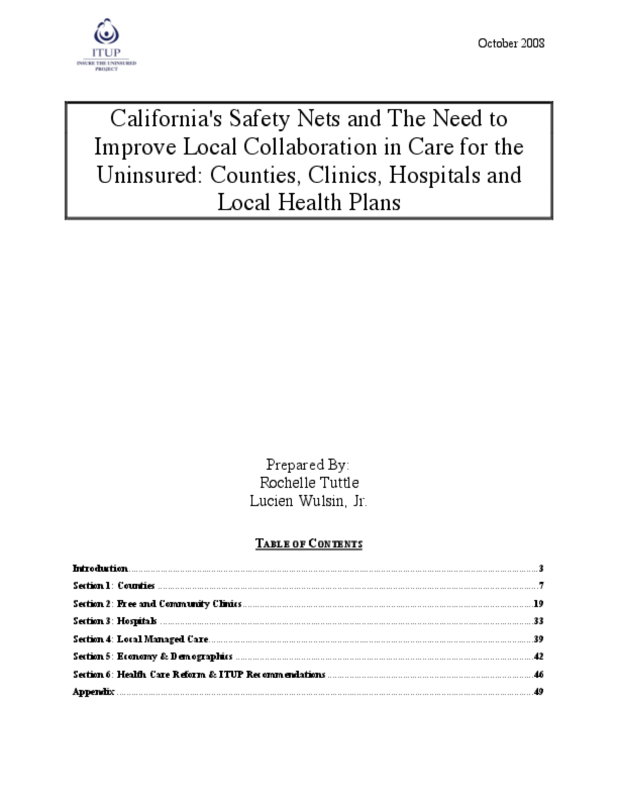 Analyzes the care for the uninsured provided by county facilities, free and community clinics, hospitals, and Medi-Cal managed care programs. Copyright 2008 Insure the Uninsured Project.